On September 1st, the Texas Longhorns were defeated by Maryland in a game I and so many others thought exposed Texas for once again being overrated. With wins against #22 USC, #17 TCU and now #7 Oklahoma, it’s safe to say I was terribly wrong. Over the past few years, The Red River Rivalry has been decided by no more than a touchdown. Going into Saturday, I was expecting this to be another solid game between the two. Oklahoma-Texas is one of those games that seems to be close no matter how much better one of the teams may be compared to the other. This years game was everything a fan could’ve asked for in a Red River Showdown and more. Touchdown after touchdown after touchdown. That’s basically how it was on Saturday between the Sooners and Horns. Both quarterbacks had impressive days. Oklahoma’s Kyler Murray went 19/26 for 304 passing yards with 4 TD’s and rushed 11 times for 92 yards and 1 touchdown. The Longhorns Sam Ehlinger went 24/35 for 314 passing yards with 2 TD’s and rushed 19 times for 72 yards and 3 touchdowns. Both QB’s had 5 total touchdowns but to me, Ehlinger had the better day. Don’t get me wrong, Kyler Murray had a ridiculous day and brought his team back from being down 45-24. I’m not trying to take anything away from that. The fact of the matter is, Sam Ehlinger played a more complete and polished game. He stayed calm and kept his composure the entire game and I can’t remember him making a single mistake, to be honest. Murray coughed up a couple turnovers and I definitely saw more sloppiness than Ehlinger. The Texas quarterback has made a tremendous leap forward from where he was back in week one against Maryland. Actually, this entire team as a whole looks like a completely different team than they did against the Terrapins. Overall, I was very wrong about this Longhorn squad. Texas, I’m sorry for having so little faith and so much certainty that you were going to be below average once again. I have to give major props for making improvements I thought we wouldn’t see any time soon let alone in just a couple of weeks. 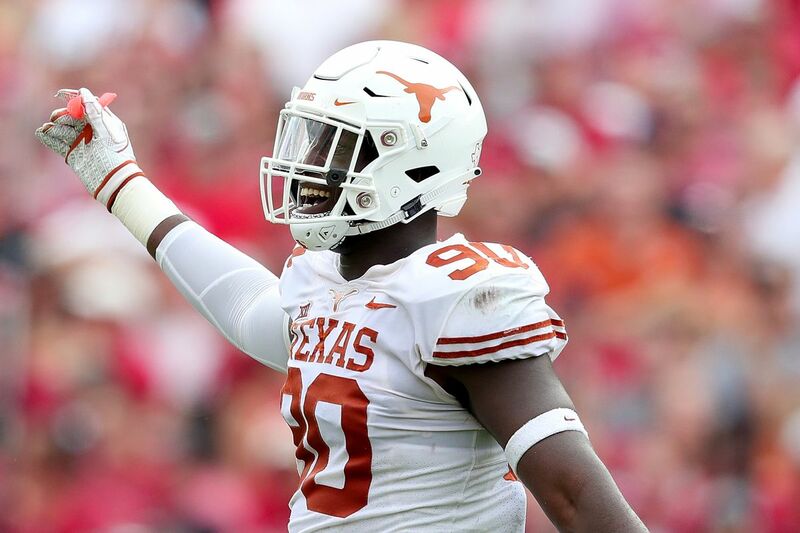 Texas is one of the most impressive teams in college football right now and after this win against Oklahoma, they have all the momentum in the world. Hook ’em Horns.